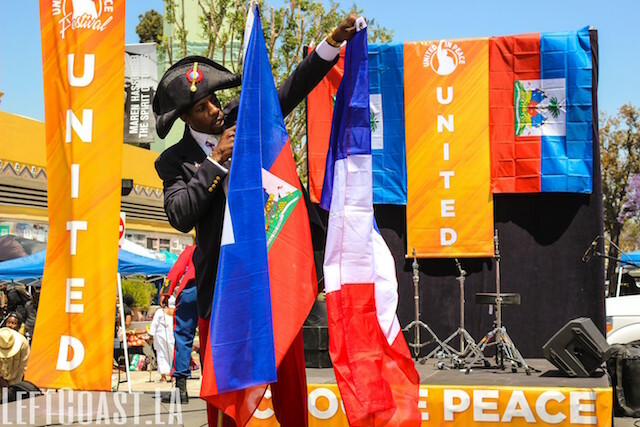 Coming from the East Coast, I did not know what to expect when it came to Haitian Flag celebrations in Los Angeles. I was born in Jacmel, my father is from there and my mother is from Port-de-Paix, so I think that qualifies me as 100% Haitian but this Haitian had never been to a flag celebration like this one before. I have to say this festival did not disappoint! 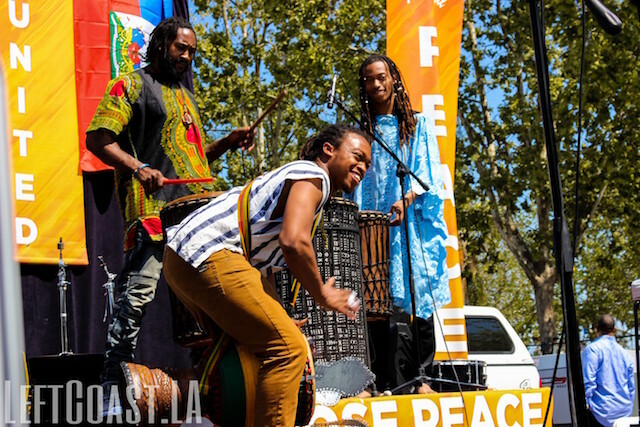 Premier Event Promotion Services did an amazing job putting together this Haitian Heritage festival and they locked down Leimert Park in Los Angeles with good food, live music and positive vibes. 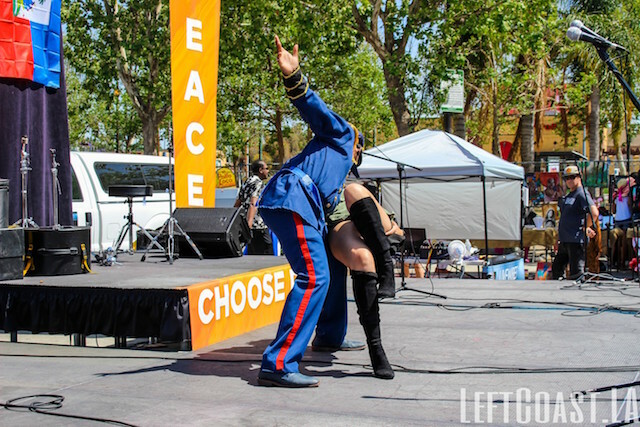 One of the highlights of the concert had to be artist MC Sloan, who is a 7th generation relative to Toussaint Louverture, arguably one of the biggest names in Haitian history. Because of Toussaint’s resilience and ability to lead Haiti, he successfully defeated colonialism and slavery. Another nod to history was delivered by MC Sloan, who did an outstanding with a brief lesson reminding us of where we came from and where we need to be today. Alongside all the beautiful West Indian faces we saw that night were countless numbers of supporters from the American and African American community. The host, Mr. Haiti, kept us on our toes and grinning as we saw live performances from MC Romane Simon, a respected film producer in Los Angeles, Mr Surprise, a Reggae artist for the soul; my favorite tune of his is “Send no Gun”, Hip Hop artist Lil Litty, who had me craving Lemonade Juice by the end of his set, Theresa King, who relaxed us with her vocals and Pickleez California’s go-to Haitian band. 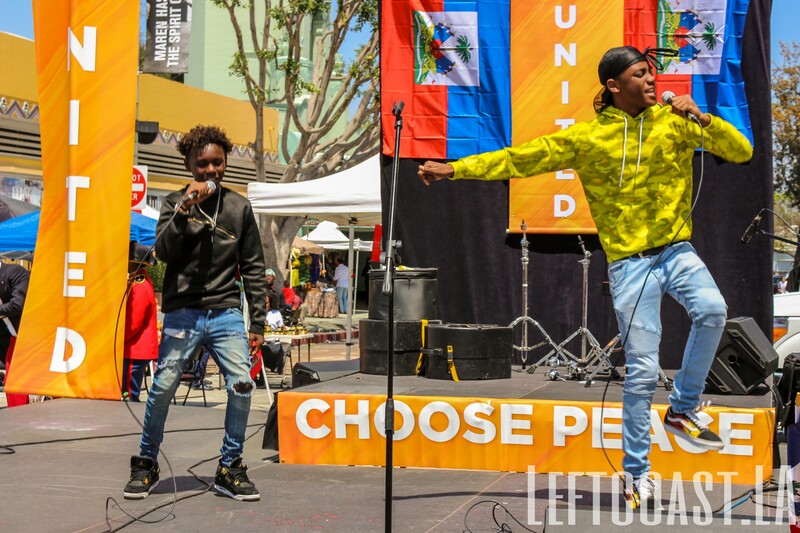 It’s safe to say we can’t wait to see what else P.E.P.S.LA has up their sleeves…stick with LeftCoast.LA for all things LA!